Now that Microsoft has taken Rare out of its Kinect dungeon, we’ve received a giant collection of 30 classic Rare titles on Xbox One called Rare Replay. This collection has reminded me of how much I really do love Rare’s games. Rare Replay beings with a clever musical number. It’s something silly like this that makes Rare the company it is. Rare is a game developer that enjoys bringing fun experiences. The menus have great art design, and every game is given a modernized remix its main theme. The menus are easy enough to navigate through, and I never had any issues with the presentation. Every game also looks amazing in crystal clear 1080p. Rare Replay also features a mode called Snapshots. These take small snippets from a game, and they turn them into short burst challenges very similar to the ones in NES Remix. These add a lot of value to the collection, and they even let you get more stamps. Stamps allow you to unlock really nicely made video documentaries about Rare’s titles. If you love Rare or enjoy one of their games on the collection, there are plenty of lengthy videos available to unlock for many of the games. Jetpac is really fun arcade action. Jetpac (ZXS)- The simplest, yet most enjoyable game of Rare’s ZX Spectrum library. Jetpac is great arcade-style fun, and a solid first effort for the developer. Lunar Jetman (ZXS)- I can see why Rare wanted to repeat the success of Jetpac, but Lunar Jetman is a confusing mess that makes little sense. Play it for a minute to see what they attempted and then never visit it again. Atic Atac (ZXS)- Rare’s second best ZX Spectrum title is like a mix of Zelda and an arcade classic. Although it can be a tad confusing, it’s worth putting in the effort to learn the game’s mechanics. It has fast and enjoyable gameplay that you’ll want to come back to. Sabre Wulf (ZXS)- I feel bad for Sabreman, but his trilogy of games didn’t come out as well as they could have. Sabre Wulf an interesting exploration game plagued by irritating enemies you must fight with your weapon with very little range. Underwurlde (ZXS)- Rare’s very first platformer game is cool to experience, but it has issues. There are too many enemies that ricochet you to different places constantly (that on top of a very specific jumping arc), which cause for an incredibly frustrating experience. Thankfully, you can turn enemies off in the options. I recommend doing so for maximum enjoyment. Knight Lore (ZXS)- Just like Atic Atac, Knight Lore is an enjoyable exploration game, but it is also pretty slow paced. If you can manage the slower pace and the isometric controls, then you might enjoy Knight Lore. It’s the best Sabreman game out there. Gunfright (ZXS)- Gunfright is confusing and dull. Too bad since I can tell Rare was being quite ambitious with this title. Sadly, it’s just not worth playing. Slalom (NES)- A simple, yet fun skiing game. R.C Pro-Am (NES)- The famous racing title for NES. It’s still lots of fun to this day. Cobra Triangle (NES)- Quite possibly the first game where Rare’s fame for video game variety came from. Every level is different and surprising in this strange motorboat shooting/racing/everything else game. Snake Rattle ‘n’ Roll (NES)- This game’s controls can be hard to get used to, but when you do get used to them, you’ll find a very charming, weird, and enjoyable platformer. It also has a great soundtrack and detailed and colorful graphics. Out of Rare’s NES library, I found this to be my second favorite. Solar Jetman (NES)- A physics based space game that just honestly isn’t for me, but the game’s physics are very impressive for the NES. I can see how some will enjoy the game, however. Digger T. Rock (NES)- A fairly enjoyable, but methodical game in which you must dig through each stage and find the exit and hidden treasures. It’s nothing incredible, but it’s worth giving a go. 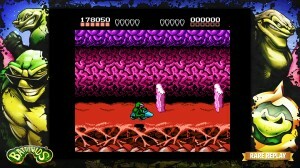 Battletoads may be really challenging, but it’s Rare’s best NES game. Battletoads (NES)- Rare’s greatest achievement on the NES. Battletoads is incredibly difficult, but it’s fair and very well designed. It’s over-the-top, and every stage is a different experience from the last. 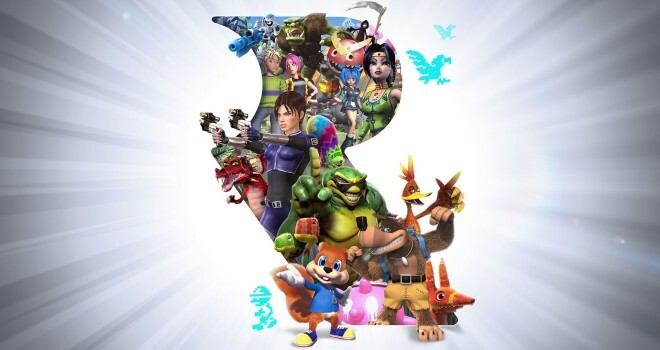 With Rare Replay’s options for a rewind feature and infinite lives, many more people will finally see further into the game, and it will help gamers get the practice they need to complete the game legitimately for the first time. R.C Pro-Am II (NES)- A solid sequel to the original R.C. Pro-Am that very few people have played. Battletoads Arcade (Arcade)- The Battletoads arcade game is a solid beat ’em up, and I’m glad that it finally has a console port. It’s surprisingly gory and bloody, and even more over-the-top than the NES original. The game’s sprites are huge and really well animated. Killer Instinct Gold (N64)- A good fighter. Whether you enjoy this game or not will depend on if you enjoy the style and mechanics of the game. Blast Corps (N64)- The explosive and incredibly fun underdog of Rare’s Nintendo 64 library. The different vehicles you handle in each stage control very well, and they’re very satisfying the blow up buildings with. It isn’t Rare’s most revolutionary N64 title, but it’s refined in fun. Banjo-Kazooie is a platforming masterpiece. Banjo-Kazooie (N64)- My personal favorite Rare game of all time. Banjo-Kazooie is still a contender as being on of the greatest platformers ever made. It has perfect controls, fantastic music, wonderful levels, and hilarious characters. For many, this game is Rare in a nutshell. Everyone should play this game at some point, and now’s the perfect time. Jet Force Gemini (N64)- Rare has a very fun attempt at a third-person shooter here, but sadly, it was marred heavily by terrible controls on the N64. Thankfully, it has improved controls in Rare Replay that you can choose in the options. Now, Jet Force Gemini is finally a playable game, and I’m glad because it is really good. Perfect Dark (N64)- Rare’s greatest first-person shooter to this day. It has great weapons, well-designed levels, really cool gadgets, and awesome multiplayer modes. Joanna Dark’s first mission is still her best. Banjo-Tooie (N64)- A brilliant sequel to the original masterpiece. 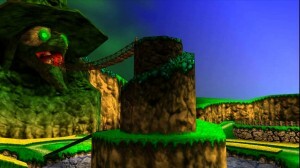 Banjo-Tooie is bigger and has many improvements over the original. It does suffer a very tiny bit compared to the original by being almost a little too large and convoluted at times, but it’s still a fantastic game. It also has a very fun multiplayer mode as a bonus. 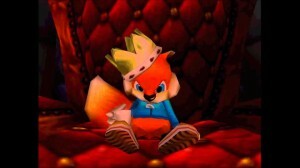 Conker’s fantastic gameplay and over-the-top humor are still wonderful to this day. Conker’s Bad Fur Day (N64)- Conker still holds up really well today with its creative level design, solid controls, and its hilarious and crass humor. It’s still incredible that a game this advanced was even possible to create on the N64. It also has many fun multiplayer modes, to boot. If you haven’t played it, don’t miss out. Grabbed by the Ghoulies (Xbox)- Rare’s first title released under Microsoft is pretty good. It’s a bit repetitive with the beat ’em up gameplay, but the style, sense of humor, and awesome soundtrack will keep you going. Kameo: Elements of Power (360)- This action-adventure game is certainly Rare’s best 360 launch title. It has sweet elemental powers and a variety of areas and enemies to conquer. Perfect Dark Zero (360)- Zero is known for being a mediocre-at-best FPS, and it really has aged poorly. Strange gameplay choices and a sloppy pre-Gears of War cover mechanic make for a dull experience. Zero is definitely not a worthy successor to the N64 original. Viva Piñata (360)- I’ve yet to delve into Viva Piñata, but I can tell that it’s a lovingly crafted game that’s like no other. The graphics and cute characters still hold up so well, and the simulation-like gameplay is very unique. Jetpac Refuelled (360)- What a worthless inclusion. Refuelled isn’t even as fun as the ZX Spectrum original. I’m sure Rare could have included something a bit more interesting than this. Viva Piñata: Trouble in Paradise (360)- More of the same as the first game but better. Trouble in Paradise has more mechanics, and it has more interest due to having more enemies that you must deal with this time around. Nuts & Bolts may not be classic Banjo, but it’s a really great game in its own right. Banjo-Kazooie: Nuts & Bolts (360)- This is the black sheep of the Banjo franchise, and I will admit that I blindly hated the game when I was falsely told by Microsoft that it would be a true third Banjo-Kazooie adventure. Nuts & Bolts is not your traditional Banjo game, and it’s hardly even a platformer. However, now that I’ve finally given this game a chance, it is still a fantastic game on its own. The physics-based vehicle gameplay is addicting and fun, and the Banjo charm and comedy is still there in many ways. 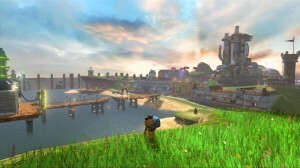 It’s also one of the most gorgeous games ever released on the 360. If you can get past the game’s poorly-made intro, you’ll find a game worth playing. There is one small issue I do have with the collection. Sadly, every Xbox 360 game is downloaded separately and is not on the disc. This means that you are technically kicked out of Rare Replay every time you boot up a 360 game. It’s only a mild annoyance, but it does make loading in and out of those games take longer than the 22 that are actually on the disc. It’s a shame that Rare classics like Goldeneye and the Donkey Kong Country trilogy could not be included. However, I won’t knock the score down for this since I understand why this is the case (licensing issues). I was also a tad disappointed that no Rare games released after 1994 had any Snapshots to complete. This collection is made with so much love for Rare and gaming’s past, and every Xbox One owner should have a copy. For every game that hasn’t aged well and is only worth playing out of curiosity, there are two games that will still enchant you with Rare’s knack for quality game design and sheer personality. For only $1 per game, Rare Replay is a steal.